The most powerful, natural breath freshener available anywhere! The most POWERFUL natural breath freshener available anywhere. Made with Peppermint spirits, the STRONGEST concentrate in nature. LASTS long and tastes great. Recently, I had a digestive problem and didn't have any Digestive Tonic but I had Fresh Breath with me. I remembered Dr. Schulze saying add 10 drops to hot water and drink like tea. It got rid of my problem immediately, unbelievable. Everybody should have one! I have one in my car, one in my bathroom and always carry two in my pockets. Every time I use Fresh Breath, it's like getting a shot of confidence. Why two in every pocket? Because someone always says, 'Your breath smells so fresh!' and I give them my other bottle. 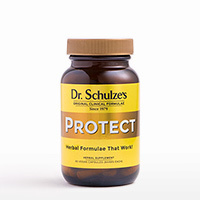 Thank you Dr. Schulze for making this awesome product. I no longer worry about what I eat before a meeting. Not only does Fresh Breath take care of any odor, but it makes my whole mouth come alive, which makes me come alive! I keep the Fresh Breath Plus in my purse, and if I eat something that doesn't agree with me, I put six to ten drops in my mouth and use it as a digestive aid. It's unreal. And it's so easy to carry around. I love it! 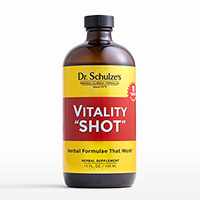 2 drops directly in the mouth as needed. THE MOST POWERFUL, NATURAL FRESHENER AVAILABLE ANYWHERE! Dr. Schulze designed his Fresh Breath Plus using Peppermint spirits, a powerful concentrate that is manufactured from organic Peppermint leaves. Peppermint is by far the strongest herbal cover-up plant, and one that most people find the smell and the taste of very pleasing. Peppermint also happens to be one of the finest and most effective digestive medicines. This is why the after dinner mint was created. 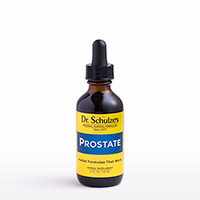 This is also the reason it is one of the three main herbs in Dr. Schulze’s Digestive Tonic. And, this is why he calls this herbal formula Fresh Breath Plus, because it doesn’t just freshen your breath; it also helps your digestion. For many years, my patients and customers have asked me what to do naturally to freshen their breath, especially during detox and cleansing programs, and actually, all the time, like at work or on date night. We tried every ‘natural’ breath pill out there (like parsley oil) that are supposed to stop bad breath. WHAT A JOKE! I found that in the clinic, NOTHING was going to buffer, balance or absorb the odor of garlic, a lot of other raw foods and the smell of your digestive system cleansing. BUT, YOU CAN COVER IT UP! That’s right, the only effective way I have ever found to stop the powerful breath that comes with eating some foods, cleansing or just enjoying life, is to cover it up with something more powerful than what you are consuming. So, I created an awesome breath freshener for everyone! Fresh Breath Plus contains Botanical menthol, an extremely concentrated extract of Peppermint oil. Clove oil is a very strong breath cover-up, and very intense. To mask the bitterness of the Peppermint, Licorice extract and a very small amount of Agave Cactus extract have been added. The result is an organic, all-natural and extremely powerful breath freshener that anyone can use.